A Nostalgic Escape in Bandung | What an Amazing World! The sun has not yet shown itself on the horizon. The roads are still empty. I notice only a few people walking around in their running pants or cycling with their friends. Many people are still comfortably sleeping on their beds, or so I think. After finding a spot to park my car, I get off and suddenly I feel the breeze of air which I used to take for granted. Cold, but refreshing. Situated more than 700 meters above sea level and surrounded by mountains and hills, Bandung has a much more temperate climate than other big cities on the island of Java which usually sit on or near the coast, for instance the national capital, Jakarta. 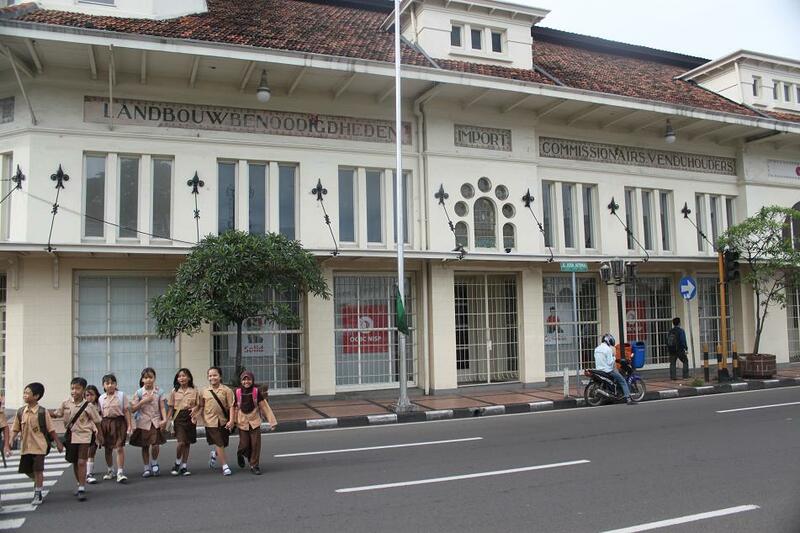 This condition has made the old town of Bandung a favorite retreat getaway for the Dutch during colonial time. Beautiful old Dutch-style houses and villas are scattered throughout Bandung’s small and criss-crossing streets which sometimes are quite hard to navigate, even for me who had lived in the city during my college years. Apart from downtown Bandung, to the north lies Mount Tangkuban Perahu (figuratively means a boat turned upside down) which some people believe that the mount does look like a boat turned upside down, while to the south sits the beautiful Kawah Putih (White Crater). Each place has its own myth and legend, venerated by local people, at the same time a way to live in harmony with the nature. As nice and peaceful as the city may sound, in the past it actually held a bigger role than merely a place for escaping the heat and humidity of old trading ports in the Dutch East Indies. In 1955 when many Asian and African countries had just gained independence, the leaders of Indonesia, India, Pakistan, Ceylon (now Sri Lanka) and Burma (now Myanmar) organized an initiative to strengthen the economic, cultural and political cooperation among Asian and African nations with the aim of opposing any kind of new colonialism. The Asian-African Conference, also Bandung Conference, was a pivotal stepping stone for the creation of the Non-Aligned Movement during the cold war between the western and eastern blocs. 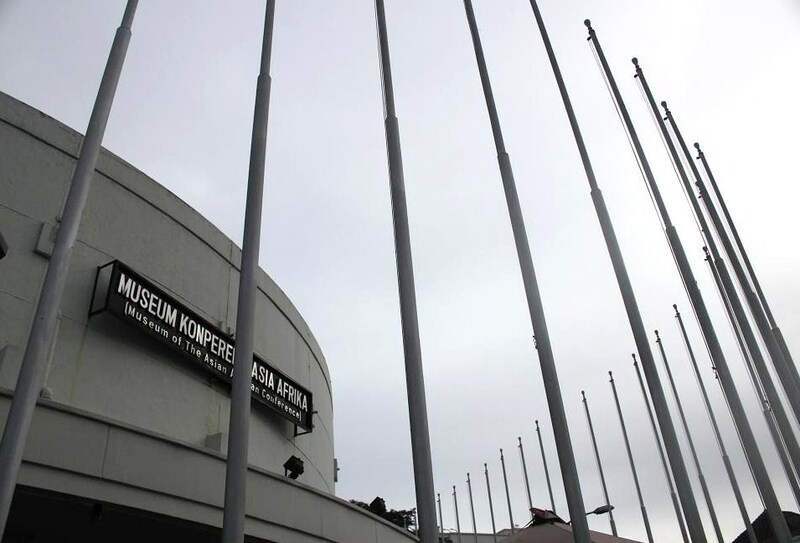 Now, the very same building which was used as the main venue for the conference, called Gedung Merdeka (Independence Building), sits strategically at the center of downtown Bandung and serves as a museum. 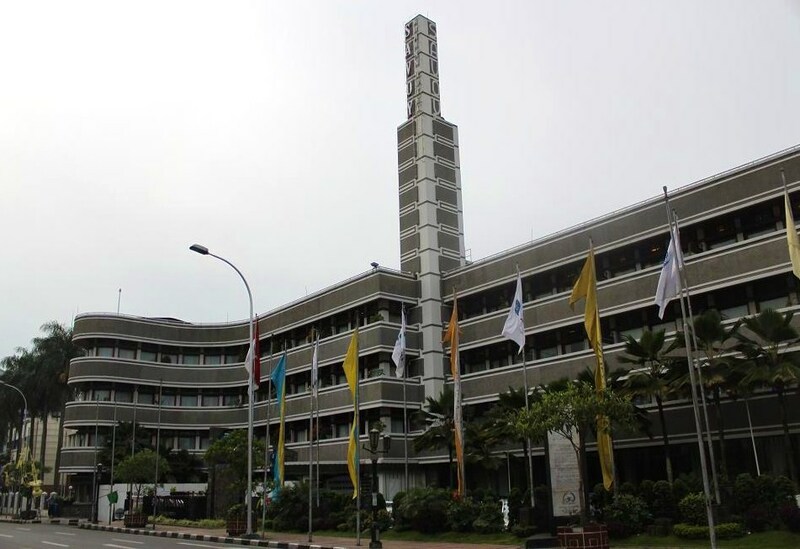 Not far from that, an art-deco hotel called Savoy Homann, where the leaders of the young nations stayed during the conference, still stands elegantly and radiates its charm until present day. 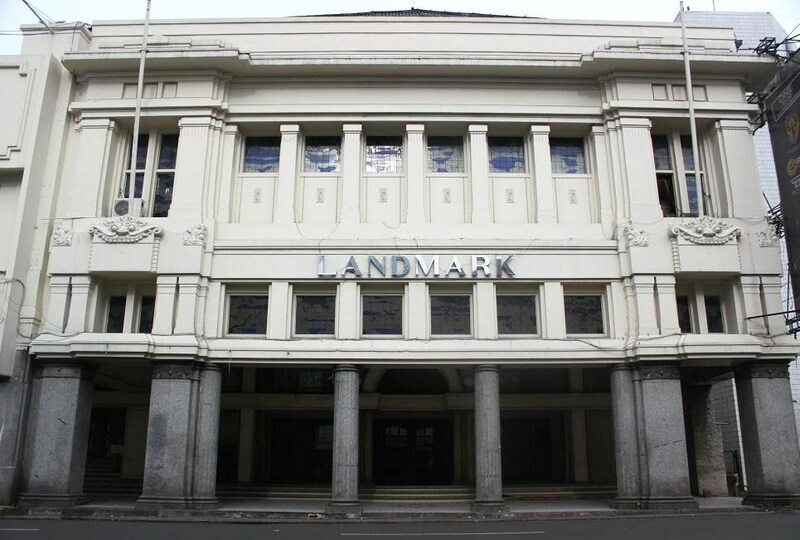 Apart from the historical square of downtown Bandung, there is one huge building sitting a little north from the city center which has become a landmark of Bandung since a long time ago. Gedung Sate which was built in neo-classical style mixed with local elements now serves as the office of West Java provincial governor. The building owes the nickname from its center pinnacle which looks like sate or satay (a traditional Indonesian dish of skewered chicken, mutton or beef with peanut or spicy soya sauce which can also be found in some other Asian countries). While the name is fun and unique, actually the six “beads” at the pinnacle symbolize the cost of the construction of the building (6 million guilders at that time). Some Dutch historians argue that Gedung Sate is one of the most beautiful buildings in Indonesia due to its sheer size and the beauty of the mixture of Spanish, Italian and Balinese architectural elements which can be found in almost every corner of the building. 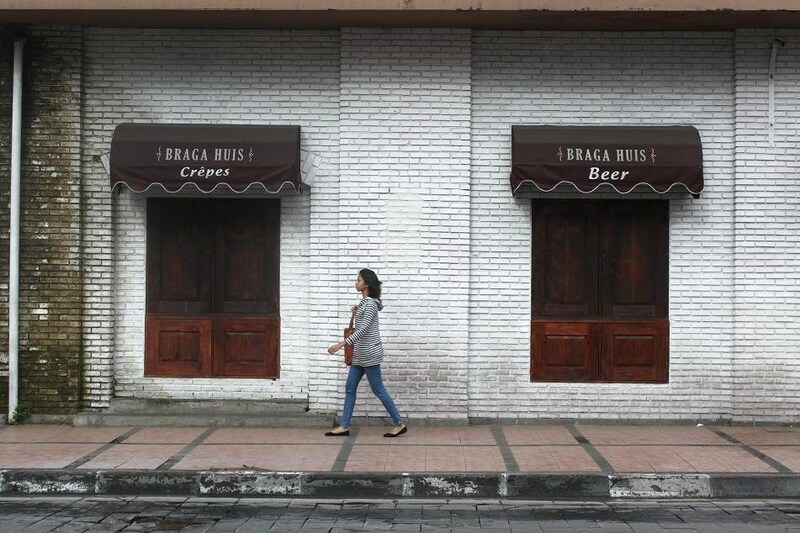 Only a few minutes walking away from Gedung Merdeka, lies my most favorite street in Bandung, Jalan Braga (Braga Street). Still retaining many of its features during colonial time (including old street lamps) this small street always offers new interesting sights every time I go. Old bookstores, restaurants, bars, art galleries, even a small shopping center sit side by side along the street luring every passer-by to come in or at least take a glance. 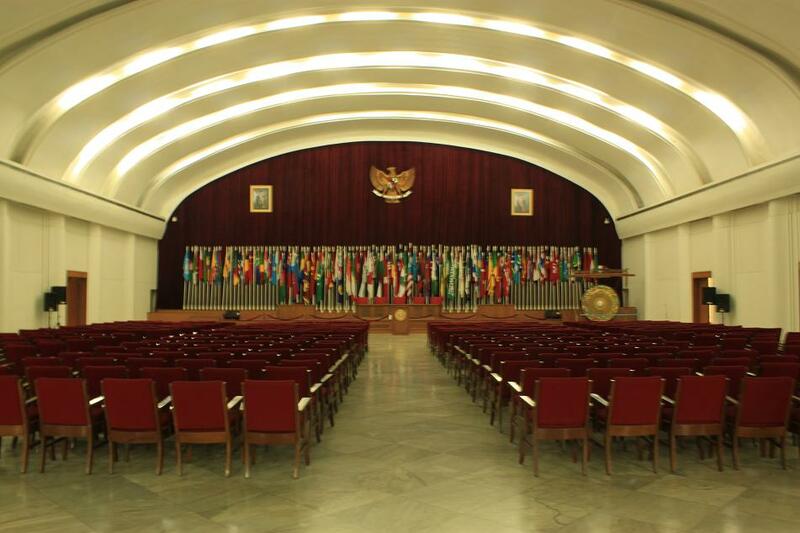 In 2005 another conference was held in Bandung, this time to commemorate the golden jubilee of the 1955 Asian-African Conference. As a matter of fact, Bandung is located about 120 km away from Jakarta, therefore a new highway which goes through hills and valleys was built to ease access for all delegates of the conference for shuttling back and forth between the two cities. Prior to the construction of the highway people normally spent five hours driving from Jakarta to Bandung. But since the inauguration of the express connection, it only takes two hours driving to reach Bandung from Jakarta and vice versa. This has led to a booming local tourists (mostly Jakartans) visit to Bandung, especially during weekends and holidays. 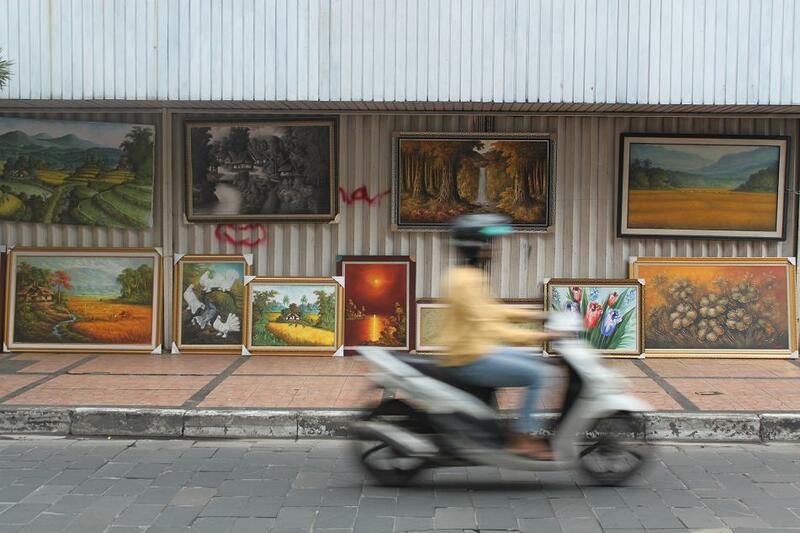 Other than the apparent milder temperature, the main reasons for Jakartans to visit Bandung are for shopping and dining. 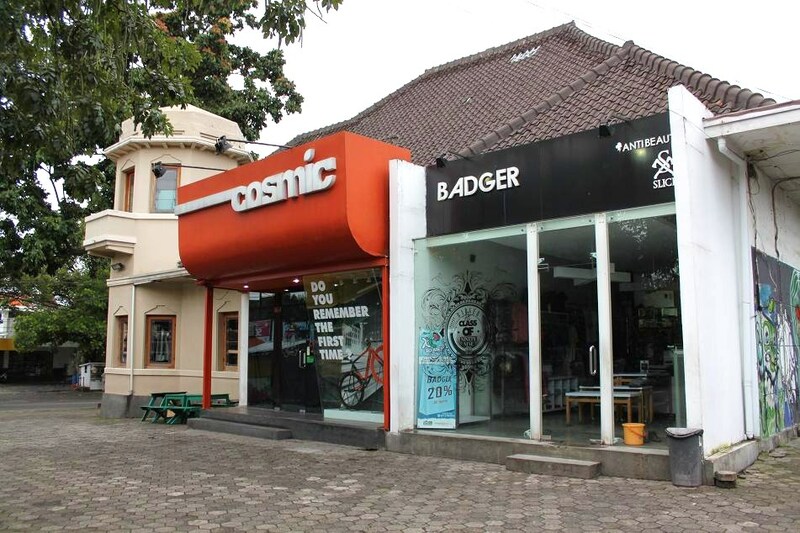 For shopping lovers, Bandung is well-known for its plethora of factory outlets (which sell branded clothes with relatively cheaper price) and distros (small stores which sell independent-label clothes). 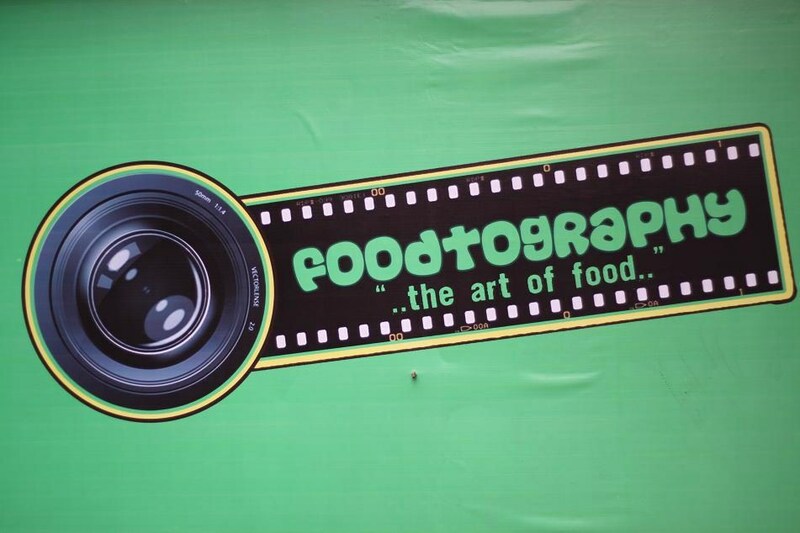 While for those who go for dining experience, Bandung has a very positive reputation as a city with so many creative people continuously creating new kinds of foods, which in my opinion some do taste like heaven while the others taste funny. Since a few years ago when a direct flight was opened from and to Kuala Lumpur, Malaysia, Bandung has witnessed a significant and steady increase of Malaysians going to the city for the same reasons as for Jakartans. I wonder whether it will also work the same way for Singaporeans after the opening of Bandung’s second direct international flight to the small but wealthy island state. All in all, for a city which was originally designed as a laid-back getaway, Bandung offers so many colors now that fit almost everyone. EH!! 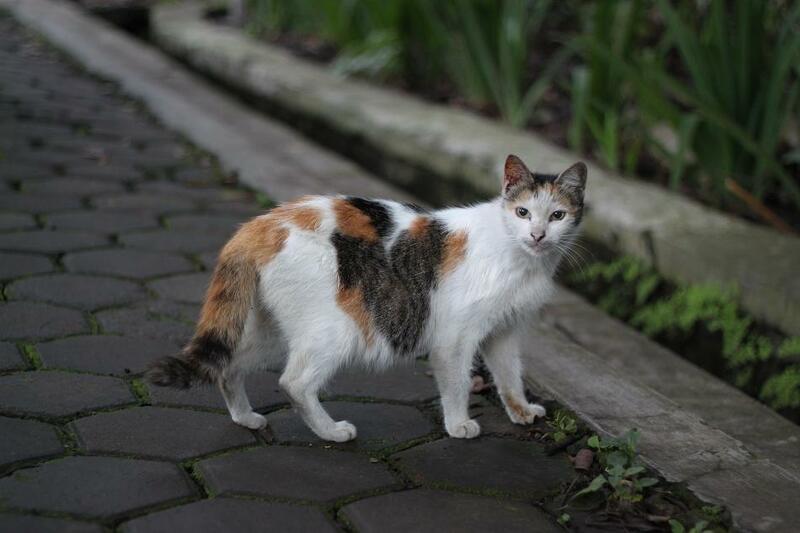 Gue juga mau ke Bandung weekend depan! 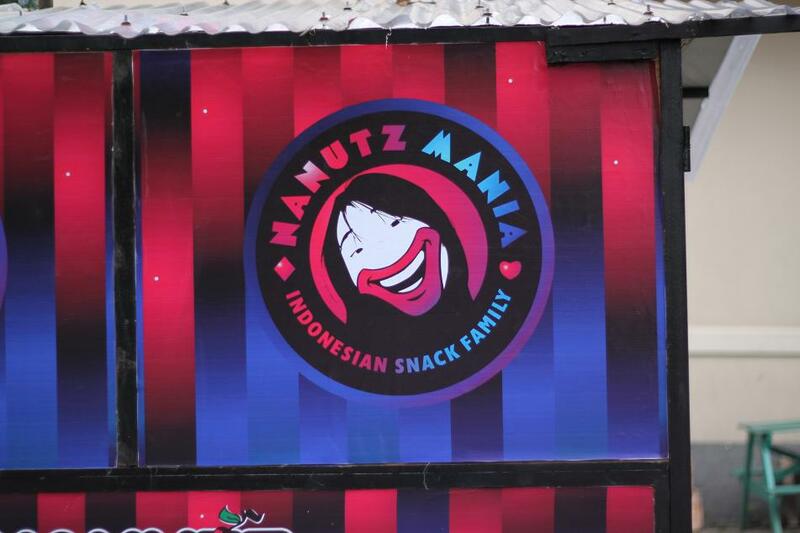 🙂 🙂 Mau cari2 makanan enak! Thanks for the history lesson Bama, I had no idea the Non-Aligned Movement started with a conference in Bandung. 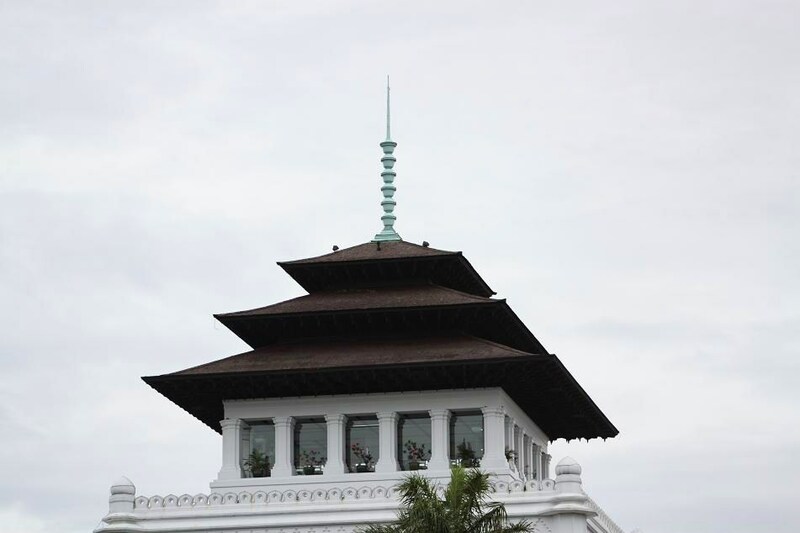 The central pinnacle of Gedung Sate really does look like its namesake – that’s a great nickname for an old colonial building! 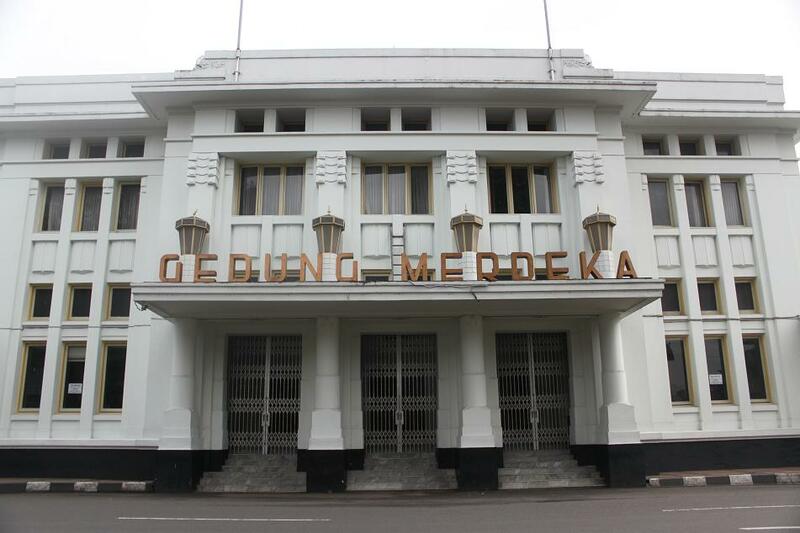 Judging by your pictures, Bandung also seems to have a wealth of Art Deco architecture; perfect for me as it’s one of my favourite architectural styles! 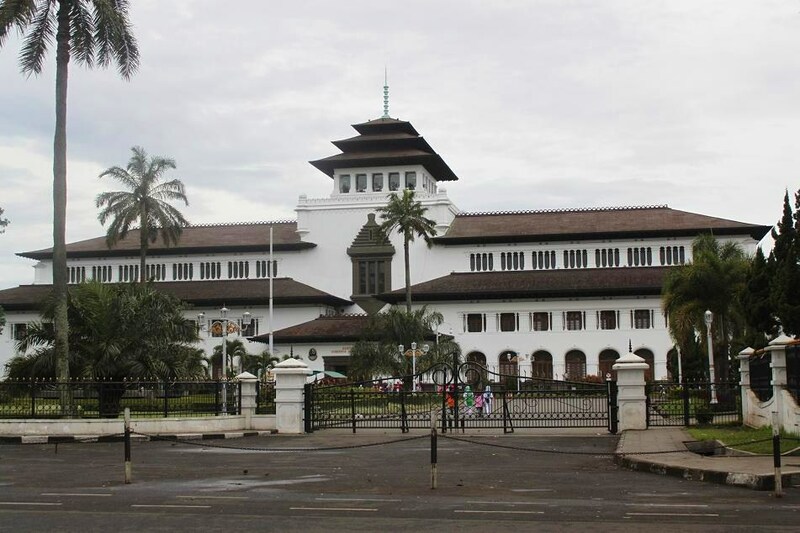 A little more fact: Gedung Sate is much bigger and taller than Indonesia’s presidential palace in Jakarta! 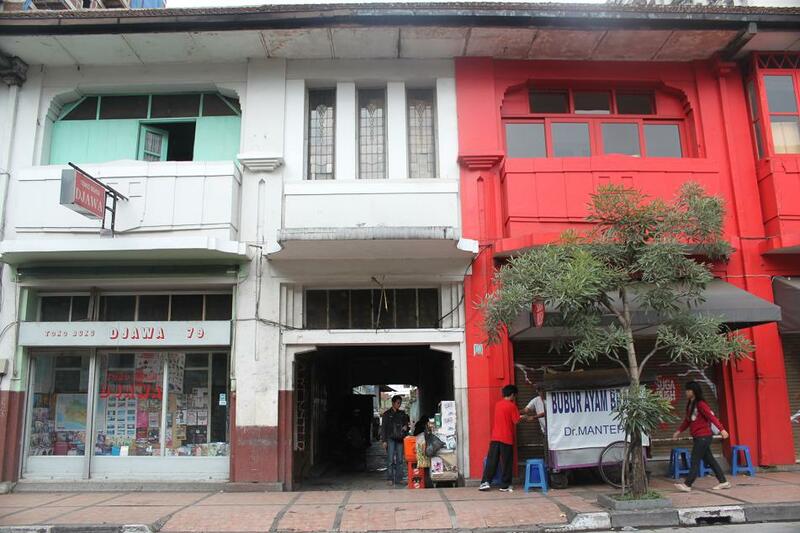 If you walk around Gedung Merdeka, you’ll find old colonial buildings in abundance, stretching a few blocks away. Kapan ke Bandung Bam? Lg kangen Bandung nih kita..
Kemaren Ga. Lagi iseng aja, pagi2 buta berangkat, siang udah pulang lagi. 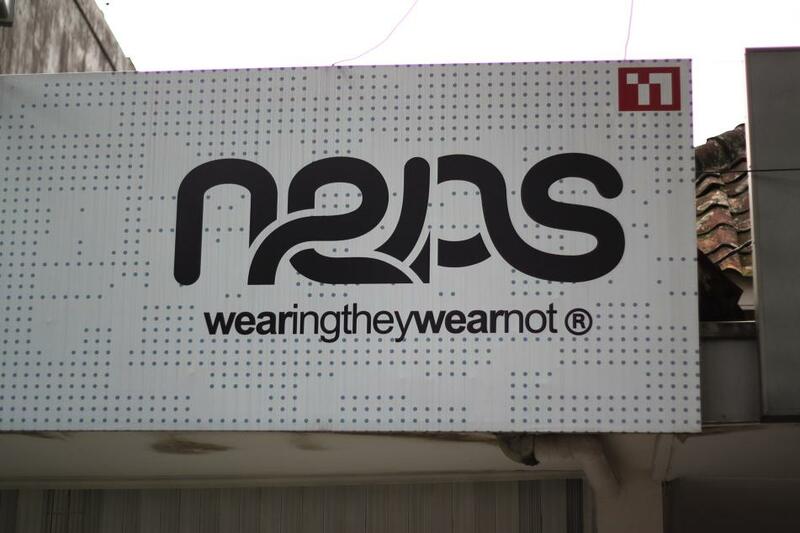 Had no idea about the first NAM conference being held in Bandung either! Thanks for an informative and enjoyable post! Actually the first NAM conference was held in Belgrade 6 years after Bandung Conference. But why the conference in Bandung was so much important in the history of NAM is because 2 out of 5 “founding fathers” of NAM were also the key persons behind Bandung Conference (the Indonesian and Indian leaders). The other three were the leaders of Yugoslavia, Egypt and Ghana. hi.. very informative and makes me just can’t wait for my 3rd visit to Bandung next month ! Hi Nurleeta! 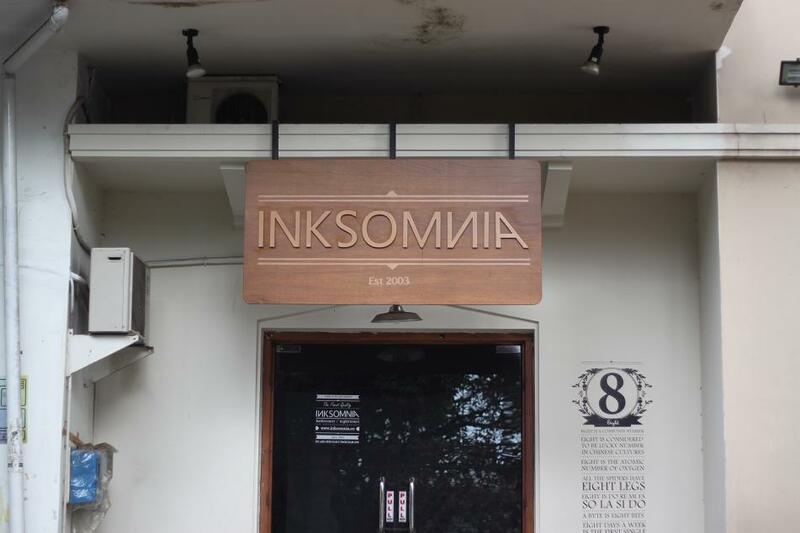 Thanks for reading and I hope you’ll have a great time in Bandung! I’ve been there once and enjoyed it very much. The weather is much nicer than in J.
That’s why every weekend Bandung is always packed with people coming from Jakarta. I specially liked the last picture, you just freezed the cat with your shot while he was staring at you! ^^ The uniformed children are cute as well, with their colourful bags and risible…brings back some old memories! Have a nice weekend mate. Thanks Javi! I decided to change the look of my blog into a lighter tone based on some inputs that my friend gave me. Even though I like darker color for being elegant, I found my blog easier to read and navigate with this new look. Umm, the cat is actually a she 🙂 Actually I tried to take the photographs of some cats, but she was the most catwalk model minded I must say. The others just ran away when I got closer to them. Have a nice weekend to you too! Bama, you are nominated for The Versatile Blogger award! Hi Madhu! Thank you so much for your nomination! But actually I have been nominated for the same award a few months ago (and wrote a post on it). But again, I really appreciate it! Pingback: On The Bank of A Prehistoric Lake « What an Amazing World!